Scientists have long understood the key role that oceans play in regulating the Earth’s climate. 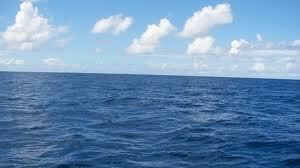 Oceans cover 70 percent of the globe and store a thousand times more heat than the atmosphere does. What’s newer is the understanding of how this key component of our climate system responds to global warming. “Even five years ago most scientists had no inkling of the extent to which global warming was affecting the oceans—but slowly over the years a consensus has been building,” says Environmental Defense marine ecologist Rod Fujita. Today, the scientific community believes there’s plenty to worry about: changes are afoot in global ocean dynamics that could have profound ecological impacts. 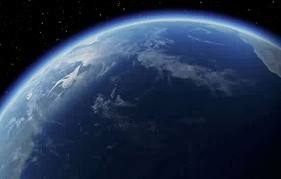 One of the ocean’s most important climate functions is absorbing heat and carbon dioxide (CO2), one of the gases that causes global warming. Acting as a heat sponge, the oceans have absorbed huge amounts of heat and CO2 in the last forty years. In effect, the oceans are taking up the slack for the atmosphere and delaying the full impacts of global warming. But where and how the oceans release this accumulated heat is uncertain. And as the ocean stores heat, fragile underwater ecosystems are struggling. Another important role the oceans play is that of distributor. Oceans deliver heat and life-sustaining nutrients around the globe. Just as blood vessels and capillaries bring oxygen and nutrients to cells in the human body, the ocean’s currents carry oxygen, nutrients and heat throughout the Earth. The ocean distributes 25 to 50 percent of the energy the planet receives from the sun. For example, the Gulf Stream carries heat across the Atlantic. This warm current gives northwestern Europe a milder climate than it would normally have so far north. A change to the ocean’s circulation patterns could plunge Europe into a colder era, even as the rest of world experiences warmer temperatures. Changing ocean circulation patterns would also affect the nutrient delivery system for marine life. Colder waters are more productive than warm waters. The warming of the oceans may be starting to break the ocean’s food chain. The system of currents replenishes deep waters with oxygen and carries nutrients to surface waters where microscopic plants known as phytoplankton can use them. When cold, nutrient-rich waters rise to the surface seasonally and mix with sunlit surface waters, the upwellings trigger the growth of phytoplankton. The areas where these upwellings occur are often rich fishing grounds, the sea’s “gardens of Eden” where an abundance of marine life flourishes. As oceans absorb more heat, upwellings of cold, nutrient-rich waters can become less frequent. Without this nourishment, blooms of plant plankton, a critical link in the marine food chain, are disrupted and so food for sea life up the food chain, like krill, larger fish and seabirds, is cut off. To make things worse, phytoplankton use carbon dioxide for photosynthesis. With fewer plankton, the oceans could not remove as much carbon dioxide from the atmosphere. Some signs already show that the marine food web is fraying. In 2005 on the U.S. West Coast and 2004 in Britain, hundreds of thousands of seabirds failed to breed. Dead seabirds like cormorants and Cassin’s auklets have washed up on West Coast beaches. Juvenile rockfish counts were the lowest they had been off California in more than 20 years. Most alarming, small crustaceans like krill—the base of the ocean’s food web—suffered steep declines. The culprit for the collapse appears to be slackening upwellings, which decreased phytoplankton blooms in these coastal areas. Fewer phytoplankton mean fewer fish, leaving the birds to face mass starvation. Monitoring of the oceans off Hawaii over the last 20 years shows that upwellings are decreasing. Scientists suspect that this is an effect of global warming. The debate over global warming has shifted from whether it is happening to how to avoid catastrophic damage. Significant changes loom for seabird and fish communities, ocean circulation patterns and basic processes of ocean chemistry. “We’re facing warming waters and major alterations in many oceanic processes and ocean chemistry, damage to coral reefs, and effects from sea level rise on marine ecosystems,” says Environmental Defense scientist Doug Rader. Without emissions cuts, the effects will be even worse. “The ship is already in motion, and it will take immediate action to turn it away from the danger ahead,” sums up Environmental Defense climate scientist Dr. James Wang.